In Gmail, click "VIEW ENTIRE MESSAGE" in lower left to see the complete email. (1) Upcoming Shabbat, Bar Mitzvah of Isaac Levi Bechtel, Saturday, March 30, 10:00 am – This Saturday, Isaac Levi Bechtel, son of Sarah Wetherson and Mark Kreider, will be called to the Torah as a bar mitzvah. Come join us in celebrating and welcome Isaac as a member of our community! (2) Thank You & Photos from Purim – Thank you to everyone who helped make our Purim celebration so successful! You can find a list of people who helped and photos from the celebration here on our website. The above photo was taken by Barbara Gundle. (3) Last Thursday Witness Vigil, Thursday, March 28, 10:00 am, Portland ICE Headquarters, 4310 SW Macadam Ave – Gather in vigil as we express our support and love for families affected by ICE detentions. Carpooling is encouraged as parking is very limited. (4) Drawdown Book Discussion, Thursdays, March 28, April 25, May 23, 7:30-9:00 pm – There is way out of the climate change disaster. And there are many things we can do to have an impact. These solutions are addressed in depth in the New York Times best seller, Drawdown. We will meet to discuss the solutions and actions in Drawdown that can reverse climate change. Each meeting will have a reading assignment from the book. Please check the online event calendar for more information. Questions? Email Andy Beers at andy@andybeers.com. (5) Mikvah Learning Session, Thursday, April 4, 6:30-8:00 pm, MJCC – Spring is a good time for Mikvah! Havurah will be doing its second Mikvah Learning Tour on Thursday, April 4, led by Deborah Eisenbach-Budner. Please join us as we visit the brand-new community mikvah, Rachel’s Well, and consider how engaging with this ritual can enhance our Jewish lives and identities (no immersing this time). We will also welcome in the month of Nisan, during which we celebrate Pesach (Passover), which is considered a Jewish New Year. One of Passover’s four names is the Holiday of Spring. So, we will be touching on the renewal of spring and the redemption of Pesach. Maximum of 12 people can enroll. Please RSVP here by April 1, so we can send you directions. (6) Passover Seder Matching Has Begun – Last year's matching of members hosting seders with members who wanted to join a seder was so well appreciated that we're doing it again this year, with a few improvements based on feedback from those who participated last year. If you are hosting a seder and have room for a Havurah member or two, or if you're a Havurah member looking for a seder, please complete the form below. The deadline to sign up is Wednesday, April 10, to give our seder matchers time to connect people with each other and to give seder hosts time to prepare for their seder. (7) Creating Enjoyable Family Seders, Saturday, April 6, 3:10- 4:30 pm – Pesach begins on April 19, the next full moon, so watch our clear skies! Pesach is a rich, multi-sensory, multi-themed, many layered holiday. But it can be easy to get lost in some of the details of it. This workshop will help us focus on the meanings of Pesach and how to create inclusive, enjoyable, memorable seders in our homes – and what we can do to lead up to the seder. RSVP here. This article is also helpful. 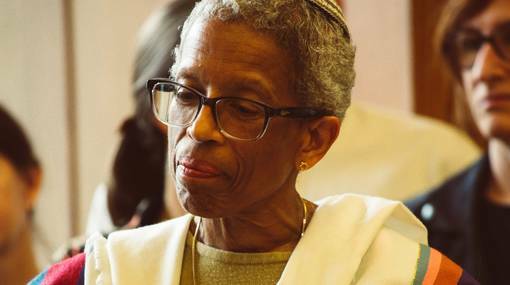 (8) Community Minyan with Michele Goldschmidt, Saturday, April 6, 10:00 am – Havurah is hosting a Shabbat morning service and oneg in appreciation of Michele Goldschmidt, recognizing her generous gift of sharing her Jewish learning with our congregation. Please join us for song, prayer, and a community farewell. Questions? Contact Susan Brenner, brenner@hevenet.com, or Shelley Sobel, shelleysemail2@yahoo.com. Cookie Call for Oneg Lunch on Saturday, April 6 – The Famous Havurah Cookie Table needs cookies for the oneg lunch celebrating Michele Goldschmidt and family leaving Havuah Shalom for Colorado. If you can bake, please bring your cookies (3-4 doz.) plated (if possible) to the Havurah kitchen on Friday (all day) or Saturday morning. Label your cookies with GF, V, or Nuts and "4/6-Michele." Questions? Contact Fran Berg at bergfr@gmail.com or 503-757-4839. (9) Tot Shabbat, Saturday, April 6, 10:30-11:30 am – Children (0-5) and their parents celebrate Shabbat with singing, movement, blessings, and storytelling. We touch on the main highlights of the Shabbat service: wonder, fun, song, listening to the world, dancing, and Torah. Afterward we will enjoy an informal oneg nosh and the chance to play and schmooze. Please bring something to share at the oneg. Led by Rabbi Benjamin. RSVP here by April 3. (10) Death Cafe at Havurah Shalom, Sunday, April 7, 10:00 am-12:00 noon – At a Death Café, folks gather to converse about the many aspects of dying and death, including but not limited to end-of-life paperwork, the multitude of feelings about caring for one who is ill/dying, how good death might look, grieving, celebrating and any/everything else this topic inspires for you. This is not a therapy or counseling group. Feel free to speak or just listen. Or both. Completely confidential. For those who are 21 and over. Refreshments will be available. Please join us. RSVP here with your email address and preferred phone number. Questions? Email Buff Medb Neretin at aurorasilks@gmail.com. (11) IMIrJ (Interfaith Movement for Immigrant Justice) Advocacy Day, Monday April 8, 8:00 am-4:00 pm, Salem – Join Rabbi Benjamin and members of the Sanctuary Committee as we participate in the IMIrJ Advocacy Day in Salem. We will come together with people of faith and conscience from across the state to build relationships with our Oregon state senators and representatives to amplify the demands and priorities of Oregon’s immigrant and refugee communities. A key issue is the Equal Access to Roads Act, which would ensure standard licenses are available to all qualified drivers regardless of their ability to prove their status. Make a pledge to recruit two others in your network to register and attend this important event. Register to attend here. Carpooling is available. Questions? Contact Kathy Gordon (farvergordon@gmail.com), Shari Raider (shari.raider@gmail.com), or Bob Brown, rebrown47@gmail.com. 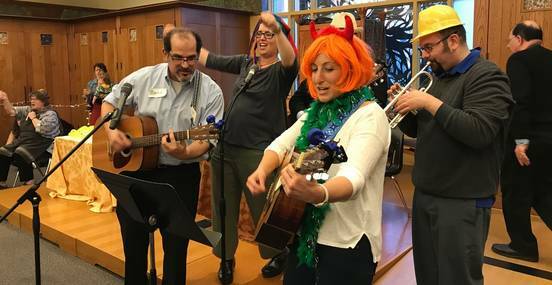 (12) Kabbalat Shabbat, Friday, April 12, 6:30 pm Dinner, 7:30 pm Service – Join us for a catered vegetarian dinner at 6:30 pm, followed by a short, musical service at 7:30 pm. RSVP here for the dinner by Sunday, April 7. For cost adjustments, call 503-248-4662 ext. 2. No RSVP is required for the service. Just join us as we welcome Shabbat! Childcare is provided. (13) What Are Your Interests at Havurah? – If you took this short survey earlier this week and noticed two drop-down menus missing, please try again. They have been fixed. You might discover a new opportunity to connect! (14) Havurah-Ortiz Center Language Exchange – Would you like to help a Latinx person in our community improve their English? Would you like to improve your Spanish? We can match you up with a language partner! The time commitment is limited, about one hour a week, when you will meet with your partner at an agreed-upon location, generally in Northeast Portland. The rewards go far beyond language learning. Make a new friend, help them navigate the complexities of living in the U.S., learn about their culture. Questions? Contact Deb Kallen at debkall2010@gmail.com. (15) Travel through Jewish History and Food the Portland Way, Wednesdays, May 8, 15, and 22, 10:00 am-12:00 noon – Travel the world. (And eat it!) Join Jewish educator David Feder to look at the travelogues of Benjamin of Tudela (900 years ago), Doña Gracia Mendes Nasi (500 years ago), and the Roden family (100 years ago) for a fascinating look into Jewish history that stretches from Spain and German to Persia and China. But this is not idle historical inquiry: we’ll turn primary sources into a lunch menu each day. Portland’s finest food carts will serve up the last piece of our study as we re-create our subject’s travels with our own forage through delicious downtown. If you think history can seem dry, you’ll love this look at our Jewish world travelers. Plus, you can always order the soup. Participants pay for their own food. Please RSVP here on the Havurah calendar by May 1. Questions? Email David Feder at davidfeder@sbcglobal.net. (16) Indecent Shabbaton in Ashland, Friday, Aug. 30 – This season Oregon Shakespeare Festival is presenting the Tony Award winning play Indecent, written by Paula Vogel. A spirited and revolutionary love story (with fabulous music and dancing) that celebrates Yiddish language and literature, Indecent charts the real-life controversy surrounding Sholem Asch’s play God of Vengeance and the Jewish artists who faced persecution when bringing it to Broadway in 1932. It features a Jewish cast and production team and was developed and commissioned by OSF as part of their American Revolutions series. Learn more and sign up here. (17) Have a Question About Havurah? – The Transparency/Inclusivity Committee welcomes your questions! We will find the answer and publish the question (but not the questioner) and answer in an upcoming Hakol. It is our intention at Havurah that what you know and understand about our congregation should not be a function of who you know. So if you find yourself wondering about something related to Havurah, or if someone shares their question with you, we hope you will send your question to transparency@havurahshalom.org. (18) Heads up: Lost and Found will be Emptied Soon – The Lost and Found box has gotten very full again! Please take a moment to root around for your lost gloves, water bottles, scarves, toys, glasses, and other items. Anything remaining in the box will be taken to Goodwill after April 15. Contact Rachel Pollak at rachel@havurahshalom.org with concerns. This is also a great time to look through the closet for coats you have left. (1) Portland to Israel Centennial Trip – The Portland to Israel March 2020 Trip currently has over 400 people registered. Since so many people are going from Portland there will be three options for travel to the north of the country and three options for travel to the south. The price is currently $3,000 which includes nine nights in hotels, most meals, 10 days of transportation and 10 days of guided tours. Some of us on the trip plan to focus on meeting with members of the LGBTQ community in Israel, and we would love to have you join us! On March 31 the price goes up to $4,000, which is the actual cost of the tour. If you are at all interested, please contact the Federation really, really soon. Questions? Email Carmella Ettinger, carmellae@aol.com or Jewish Federation of Portland Oregon, pdxisrael2020@jewishportland.org. (2) Stand with Immigrants and Refugees, Sunday, March 31, 6:30-8:00 pm, Milagro Theater, 525 SE Stark – Join artists and activists for an evening of music, prose, and poetry dedicated to protecting the human rights of immigrants and refugees and stopping the detention and deportation of our brothers and sisters. The event will raise funds for the Rapid Response and Deportation Defense Project, organized by the Portland Immigrant Rights Coalition, which serves the emergency needs of the Oregon immigrant community. Hosted by Los Porteños, Portland Latino Writers, and the Portland Immigrant Rights Coalition. Contributions: $20 per person (cash or checks). No one will be turned away for lack of funds. Wine, coffee, tea, and snacks will be served. Questions? Contact Bob Brown at rebrown47@gmail.com. (4) Little Shtetl on the Prairie: Reckoning with the Past Through Teshuvah, Wednesday, April 10, Noon–1:00 pm, Oregon Jewish Museum and Center for Holocaust Education – Havurah member Rebecca Clarren, an award-winning journalist, will present a free hour-long slide show and talk. Clarren's relatives escaped pograms in Russia and became Jewish ranchers and homesteaders in South Dakota. Throughout her childhood, Clarren was told stories of their fortitude and luck – stories of her uncle "Bronco Lou" and the mikvahs her great-great-grandmother took in the ice-choked creek behind their shack on the prairie. Yet among the narratives that were never shared were stories of the Lakota, their neighbors. In an effort to better understand the truth of the past and possibly find some healing, Clarren, who has written about Indigenous Americans for national magazines such as The Nation, Indian Country Today and High Country News, set out to find the descendants of the Lakota families who were displaced and harmed by the amoral land allotment policies which provided her family with free land. The program, funded by a grant from the Regional Arts and Culture Council, is part of the OJMCHE's brown bag lunch series. Learn more here. (5) Fair-Trade Your Seder – If you want kosher-for-Passover, fair-trade chocolate on your seder table, order it today. Orders must be received by April 5 to guarantee arrival before Passover. As we celebrate our liberation, our fair-trade chocolate bars from Equal Exchange remind us that freedom comes in packages large and small. While we are working for collective liberation and the reform of our world's major systems of oppression, we also appreciate the small steps that protect the human rights of particular, small groups. These delicious bars, available in eight flavors, contain 100% fair-trade chocolate, so you can rest assured they are free from child slavery. Questions? Contact Bob Brown at rebrown47@gmail.com.